When I heard that DCT’s Hansel and Gretel was using the music of Engelbert Humperdinck, I immediately wondered how the Las Vegas pop singer’s music lent itself to the aesthetic of a classic fairy tale. I quickly learned something I didn’t know. 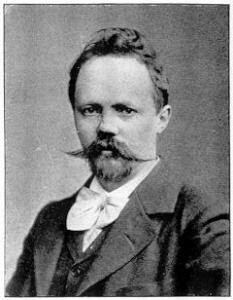 Turns out the stage name of the 70’s icon came from the composer who crafted the opera Hänsel und Gretel in 1890. That made a lot more sense. I also learned that Humperdinck first crafted some of the music for a small puppet show for the children in his family. Perfect! DCT’s B. Wolf created her own play with music, which is the Hansel and Gretel your kids will see, so she told me more about her process of developing this show and incorporating Humperdinck’s rich assets. 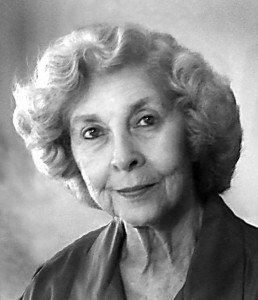 Humperdinck’s opera, Hänsel und Gretel, is his most famous work. He wrote other operas, but I don’t believe they are performed today. His Hänsel und Gretel is performed often. It is full of gorgeous melodies, great material for songs and underscoring. My process in using this material is difficult to describe. I first had to decide what would be better conveyed in song, as opposed to what would be conveyed in dialogue. Two of the songs, The Dream and The Sandman, are not taken from Humperdinck; they are original melodies of mine. The songs sung by the Witch have my lyrics set to Humperdinck melodies, sometimes switched into minor keys. The prayer song which the children sing is Humperdinck’s melody, my lyrics. I think these melodies complement the story perfectly, and that is one reason the opera is still so popular today. DCT is so fortunate to have Kathy Burks, B. Wolf and their team who continue to reinvent some of the most beloved stories for our children. 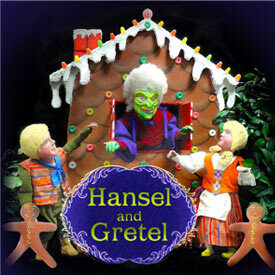 Hansel and Gretel runs March 4 – April 3 at DCT, and is definitely something you’ll want your family to sink their teeth into!